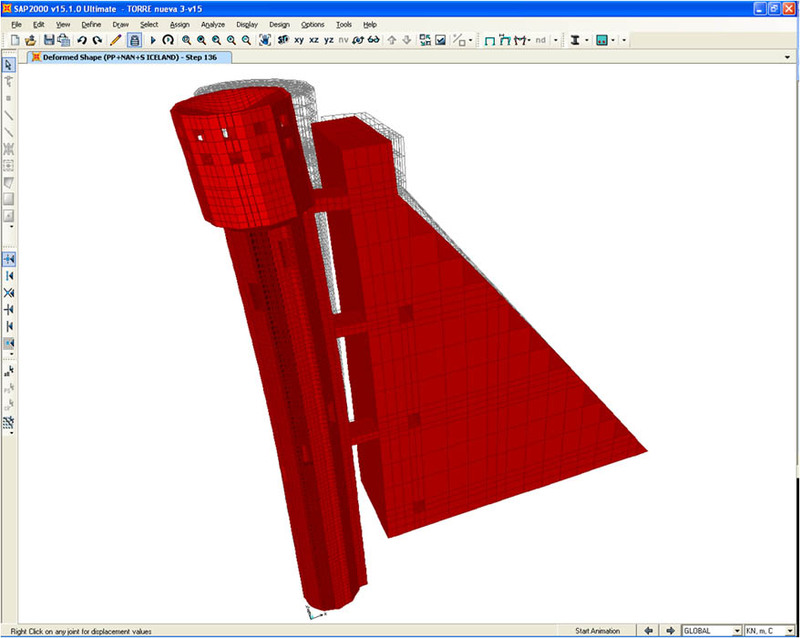 We have wide experience using this type of models that on numerous occasions have been checked successfully against physical models on a reduced scale. 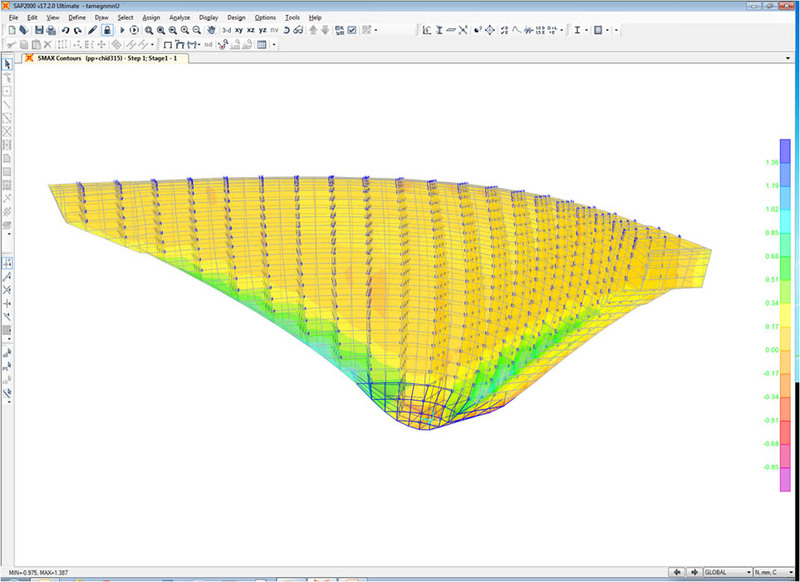 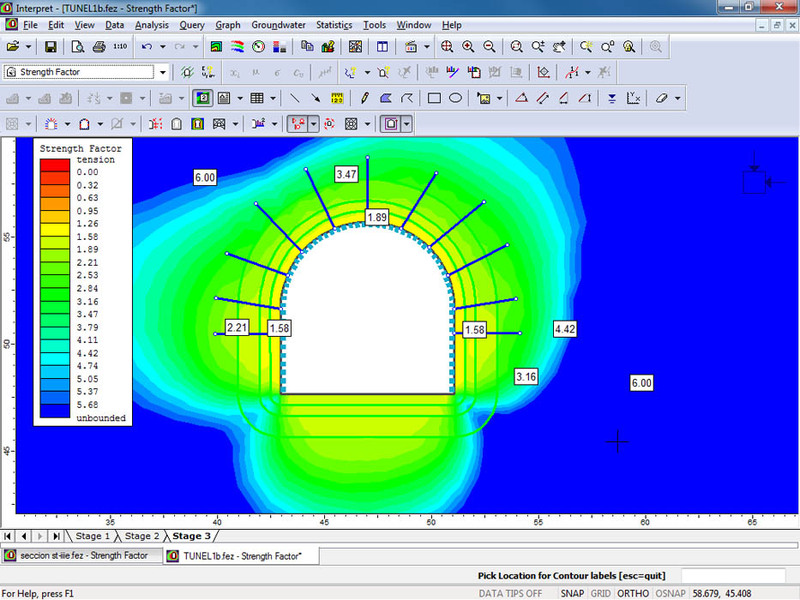 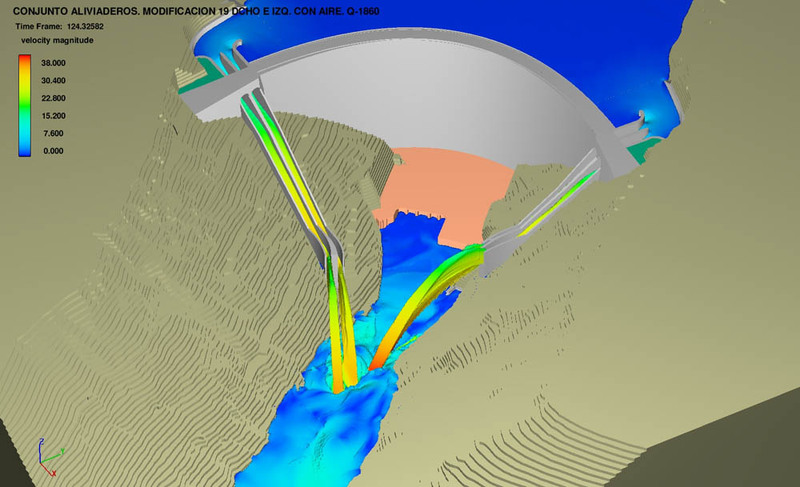 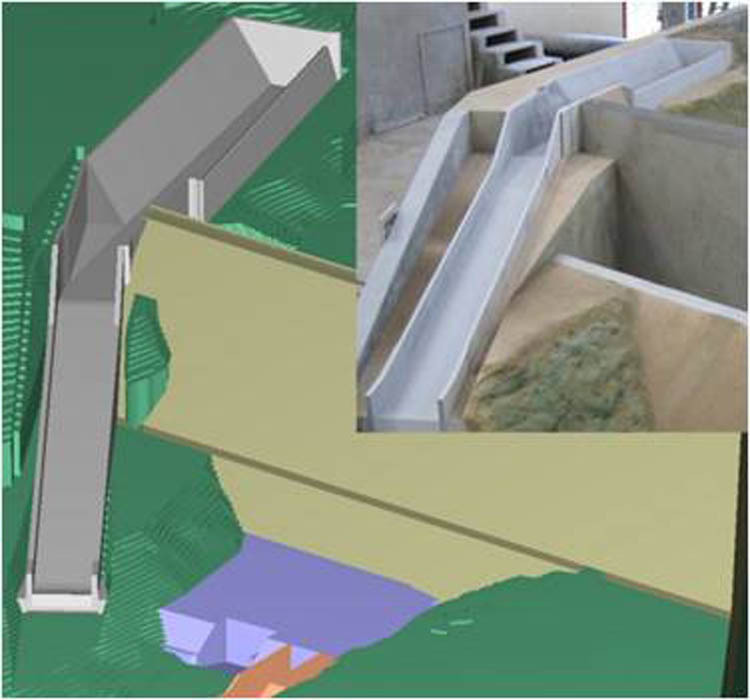 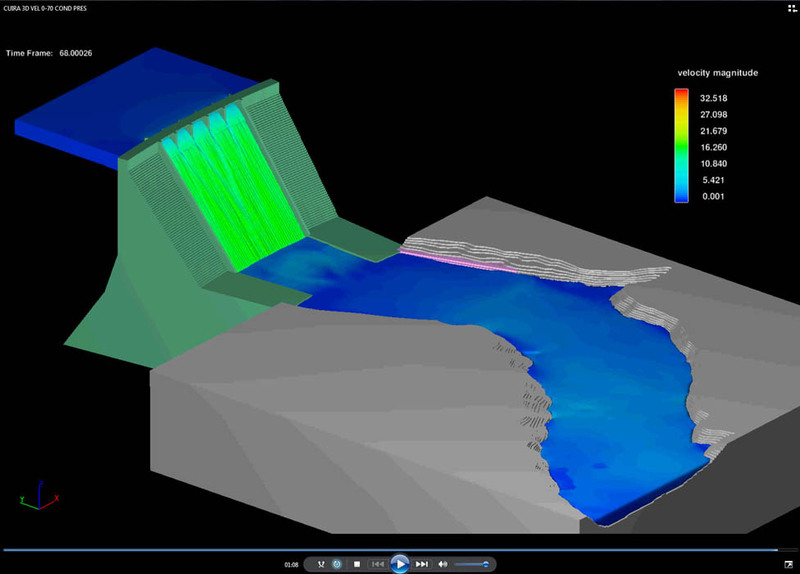 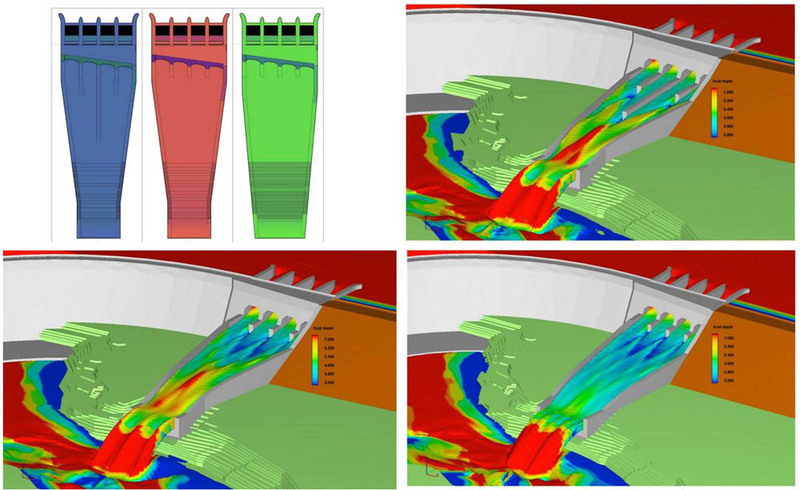 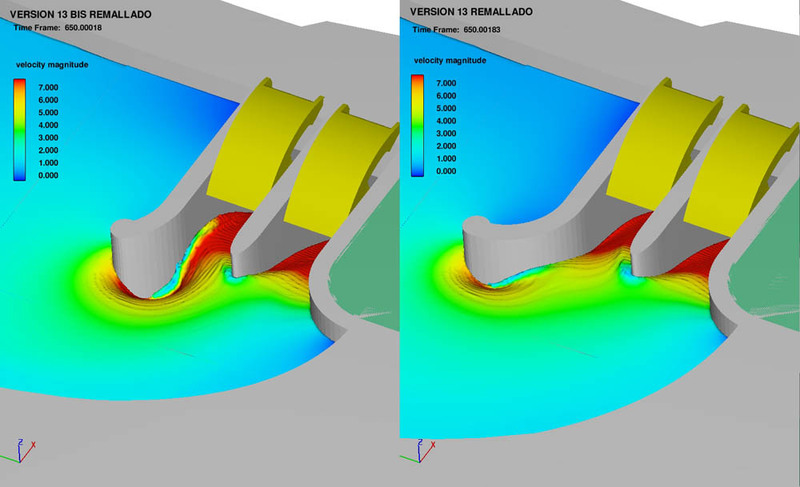 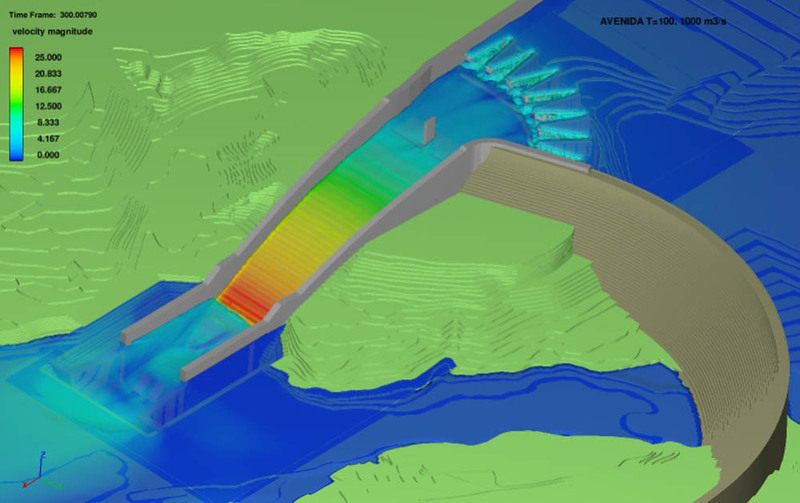 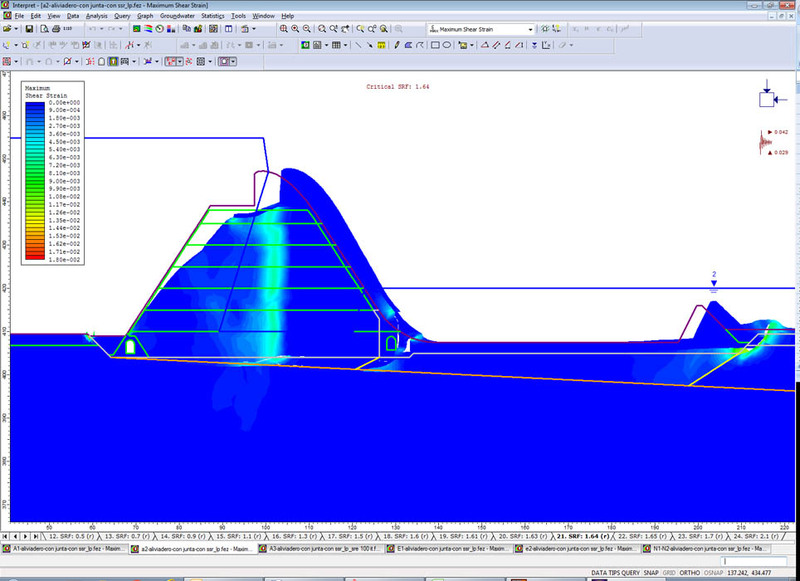 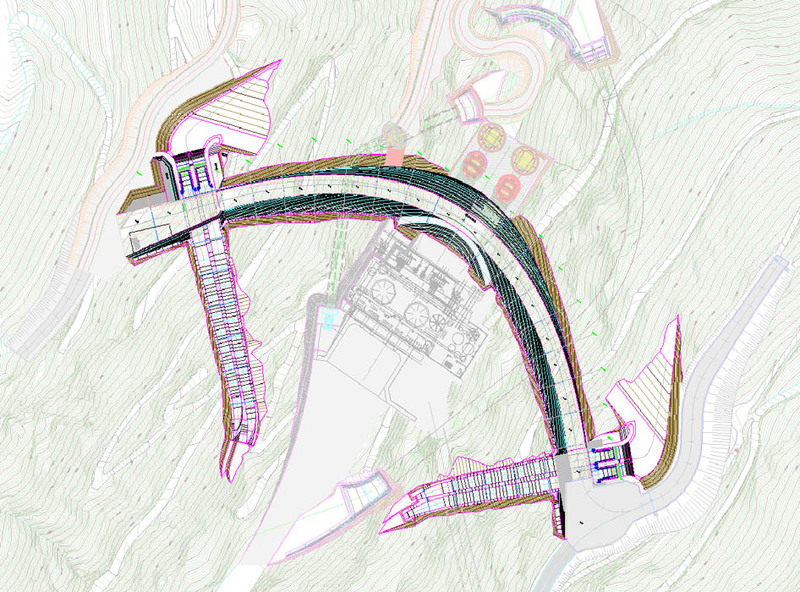 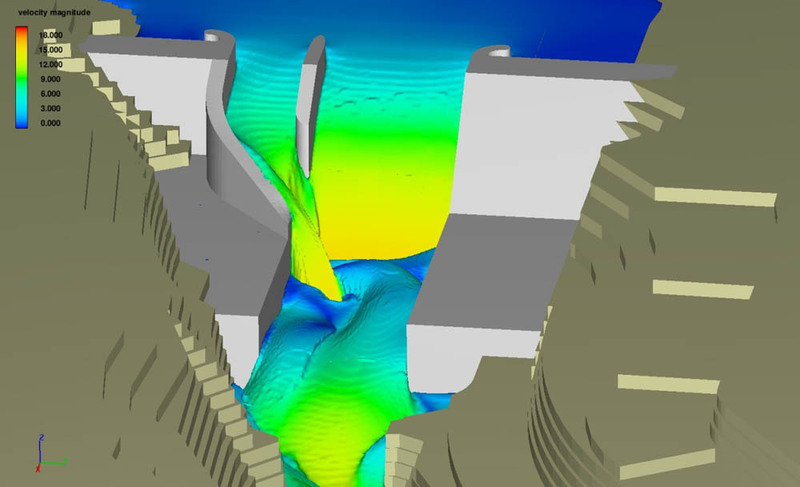 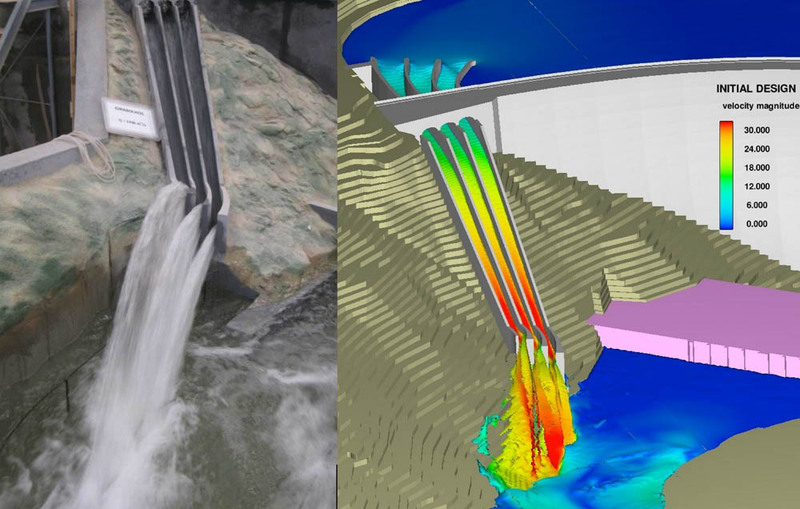 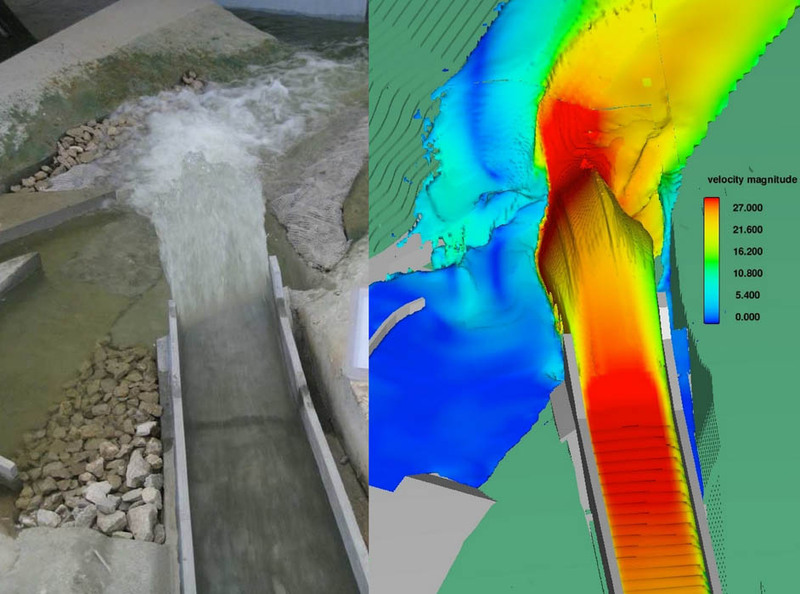 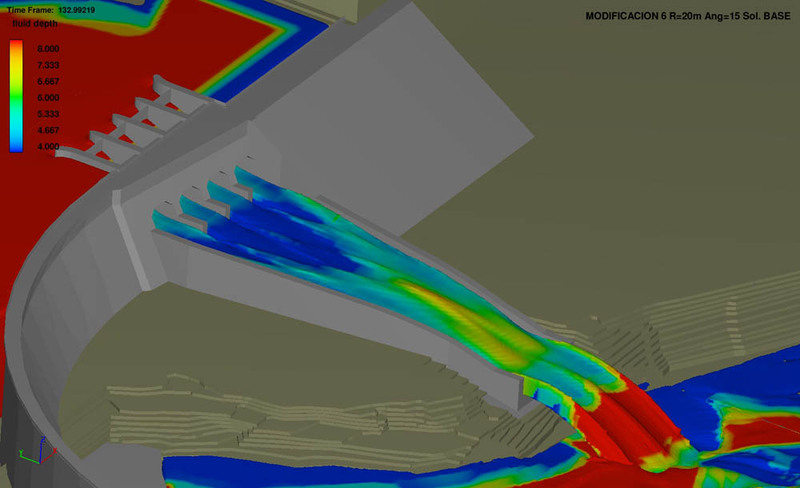 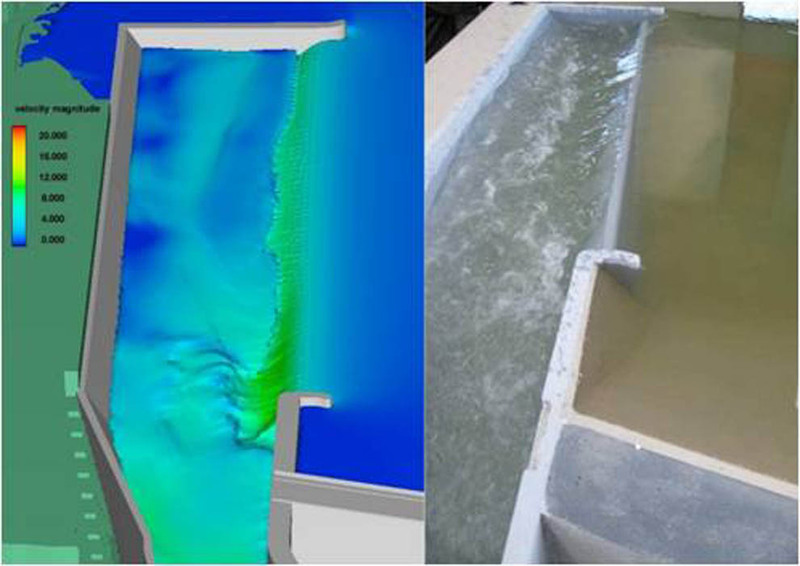 Computational Fluid Dynamics (CFD) is a tool that, when used by the designer, offers a wealth of technical advantages in the design and in the assessment of existing projects and significant savings in resources. 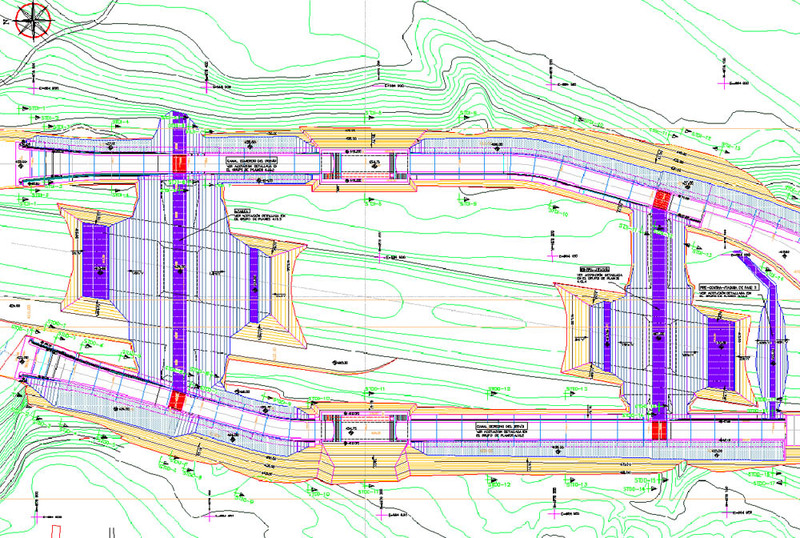 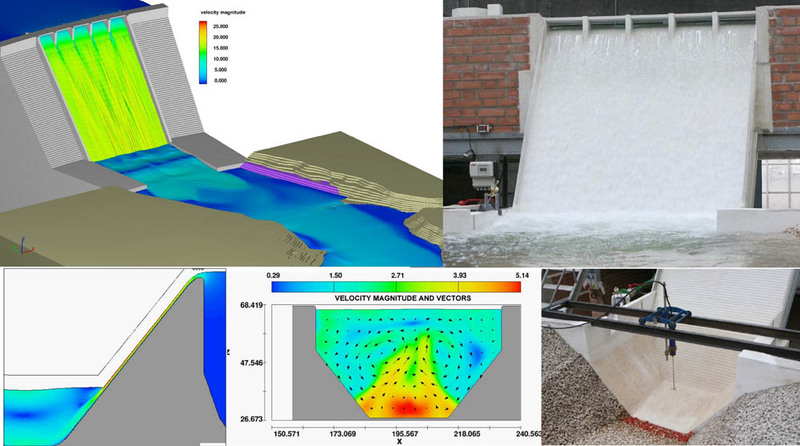 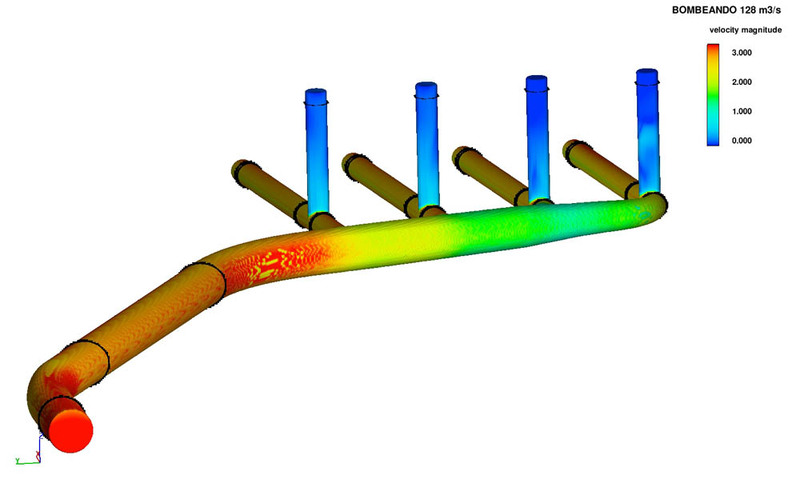 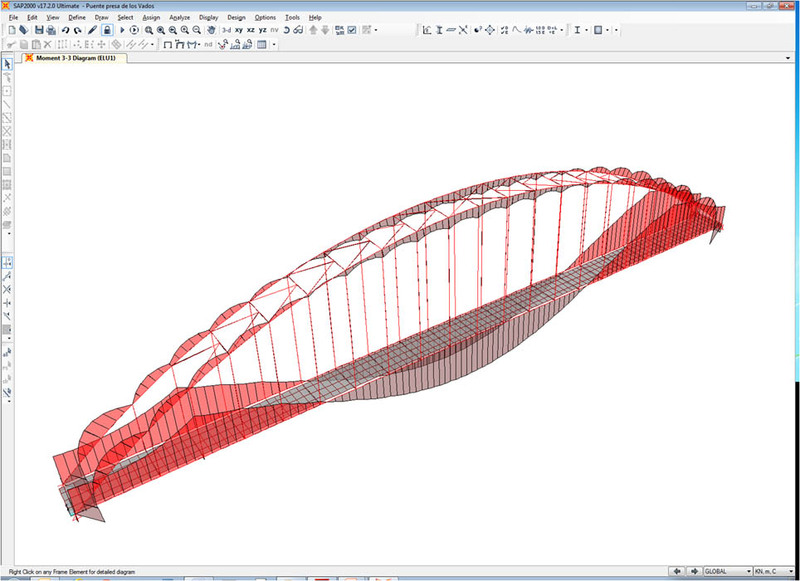 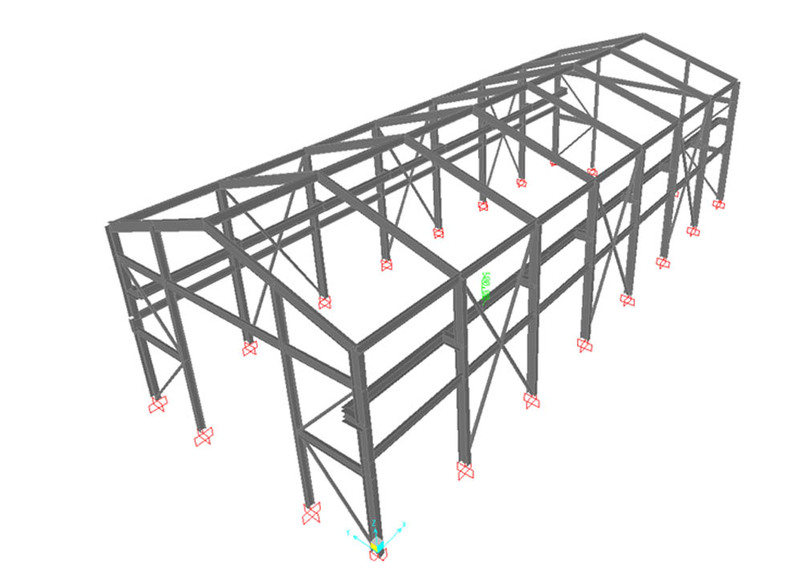 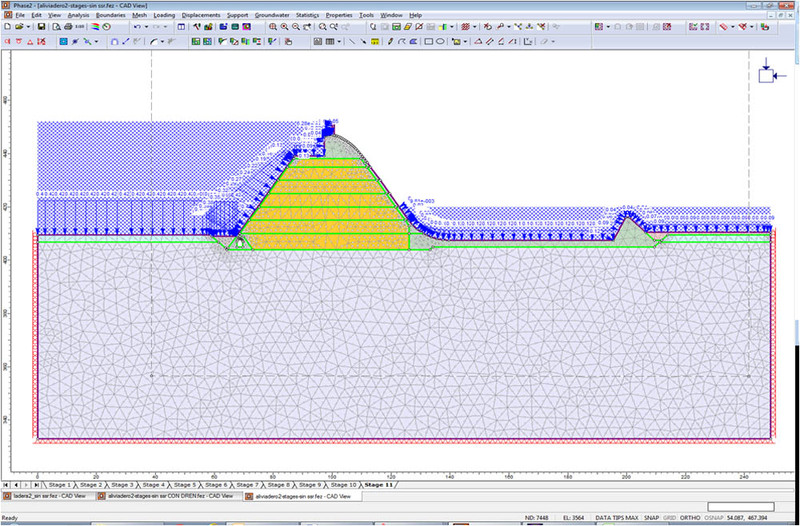 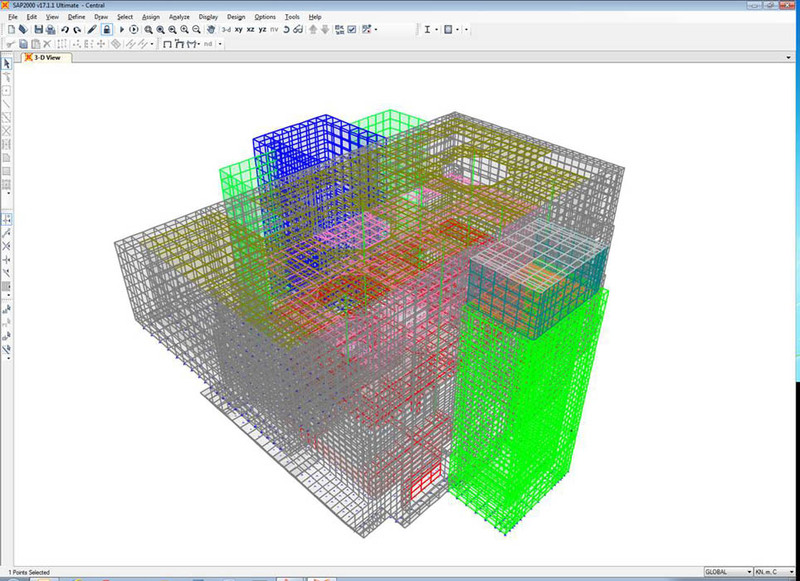 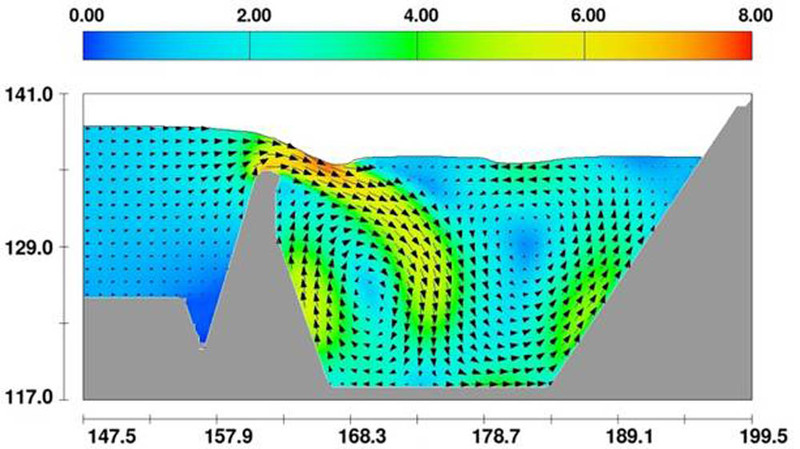 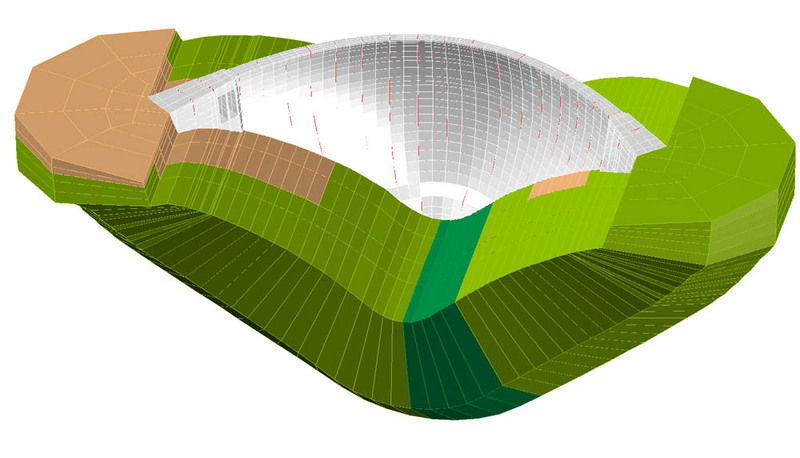 Said advantages range from the optimization of hydraulic forms in new designs and their validation, to the numerical confirmation of hydraulic structures using 3D models, since it is possible to use CFD to analyze speed vectors, pressures, load losses, etc.